Observed in the middle of the autumn season, 2014 Mid-Autumn Festival falls on September 8th. The day is also known as the Moon Festival, when the moon is at its roundest and brightest. So have you seen the moon last night? Even though it was drizzling my daughter saw it and pointed at it so I can also see. She saw it peeping out of some brightened clouds and thought it was magnificent enough for me to see it. 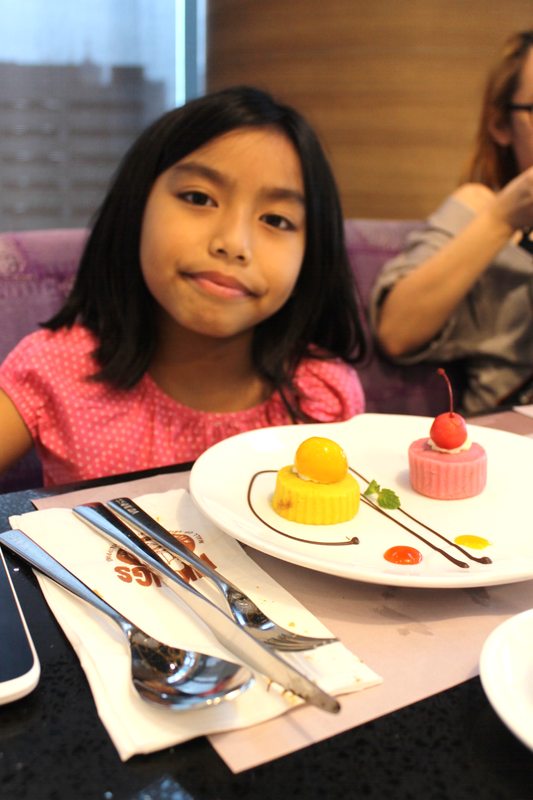 After all, we came from an afternoon tea and mooncake party at Vikings Luxury Buffet in Megamall. It was a first for both me and my daughter to really attend one - where Mid-autumn fest is celebrated with a variety of mooncakes. I'm not Chinese so I didn't really get myself familiarized about it. However, I always look forward to that season when mooncakes are being sold in Chinese specialty stores and hotel banquets. My vague knowledge of mooncakes and the festival was enhanced after my daughter asked me why the Chinese celebrate that particular event and why with mooncakes. 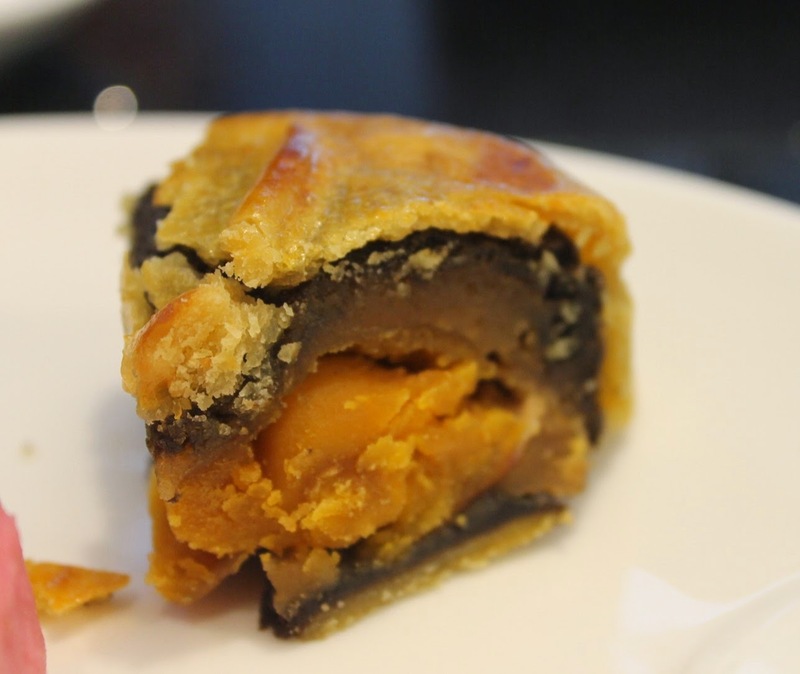 The Moon Cake is a traditional food of Mid-Autumn Festival in China. On that day, people sacrifice moon cakes to the moon as an offering for bountiful harvest and eaten for celebration, together with dancing and moon-gazing. Moon cakes come in various flavors according to every region. Mooncakes are inextricably linked with the Moon festival following Chinese tradition heightened by the legends that surround the Moon Festival. Legends are tell-tales so I didn't bother telling them to my daughter. 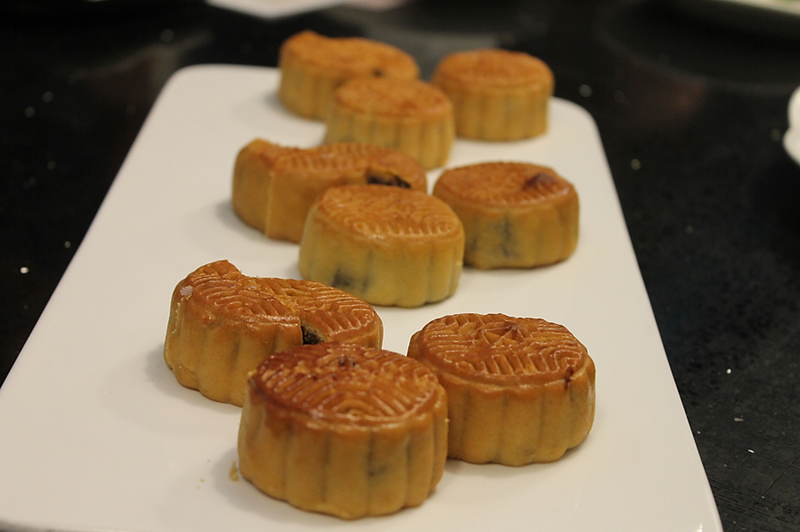 One type of traditional mooncake is filled with lotus seed paste. Roughly the size of a human palm, these mooncakes are quite filling, meant to be cut diagonally in quarters and passed around. More elaborate versions of mooncakes contain four egg yolks (said to represent the four phases of the moon). Besides lotus seed paste, other traditional fillings include red bean paste and black bean paste. The more common variety I buy is the red bean paste and the lotus seed paste. Just what is seen on the photo above. 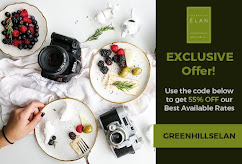 Vikings' patrons know that Vikings love coming up with ingenious themed buffet to make every dining experience there more pleasurable and memorable. This time, in line with the Mid-autumn Festival, they came up with something very enticing and have kept adept to the this globally-known festivity. The chefs (even from other Vikings branches) hatched a line up of mooncakes giving a nontraditional twist to the sought-after Chinese tradition. Have the mooncakes with a tea or two, me and my daughter had Sencha green tea. It's a Japanese green tea with a milder taste but packs the same healthy benefits of any green tea. 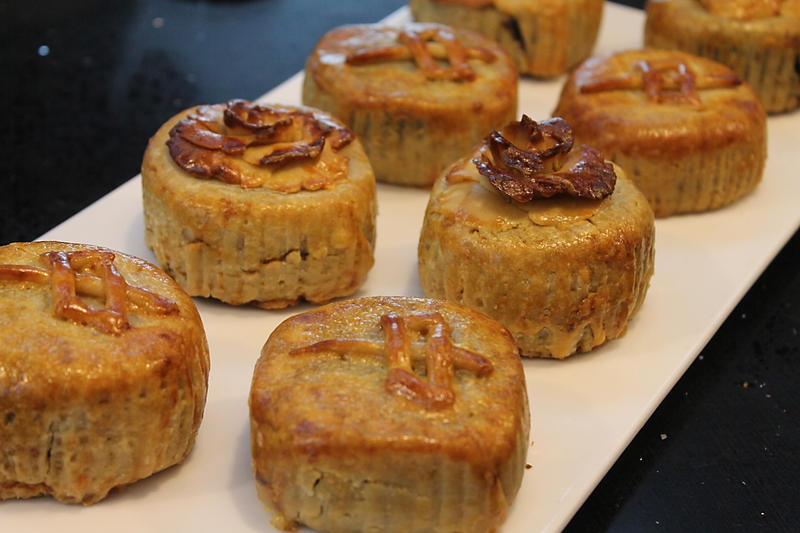 We were able to try out some of their nontraditional mooncakes. 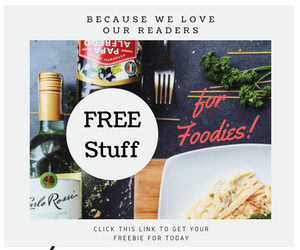 In my fascination, I asked one of the chef who presented us with their savory creations, why the different take on the traditional food. 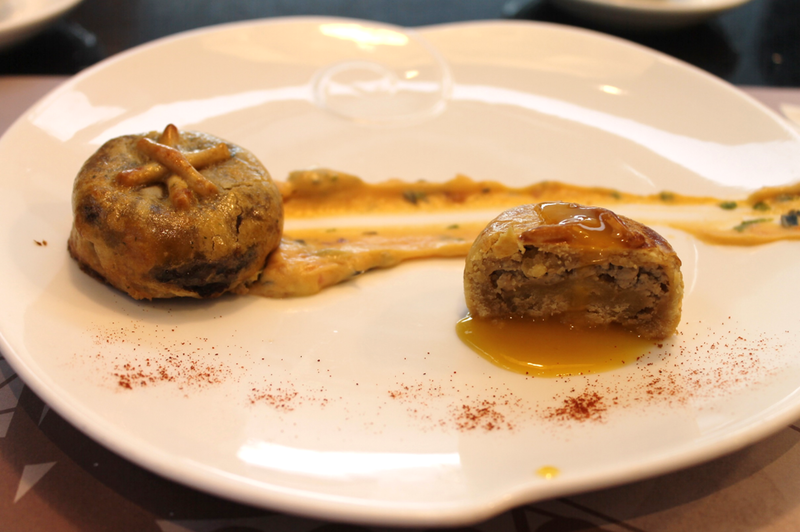 According to him, they fused the Chinese' traditional way of preparing each mooncake with French culinary. In some of the variants, the lotus seed paste is still incorporated, even in the savory ones. First that was served to us was a plate with Minced Goat Cheese Mooncake with Mango Coulis and the Beef Bourguignon Mooncake with Choron Sauce. My daughter wasn't expecting to be served with her own plate as she was telling me that she will only taste the ones that will be served to me, for she was looking forward to having cups of Dippin Dots Ice cream. But the chefs were so gracious enough to serve her, and she was grateful for it. She was the first one to taste the mooncakes, and according to her she didn't like the one with mango sauce, I guess liking goat cheese is also an acquired taste, you know, kids are more accustomed to light cheddar cheeses. She however liked the one with minced beef. She said it was like eating a beef pie but with a sweet something in it which she later on got satiated. For me though, the take on a different moon cake filling deserved an applause. I'm never picky when it comes to these, unlike my kids, well kids do tend to be picky. I never knew that a tart mango sauce can exalt a goat cheese filled cookie batter brushed with egg yolk wash. Yes, mooncakes are actually cookies which are filled. The minced goat cheese complemented well with the mango coulis, and the size, a little smaller than my palm is enough for me, which means I can try other mooncakes. Beef Bourguignon Mooncake with Choron Sauce is also love. 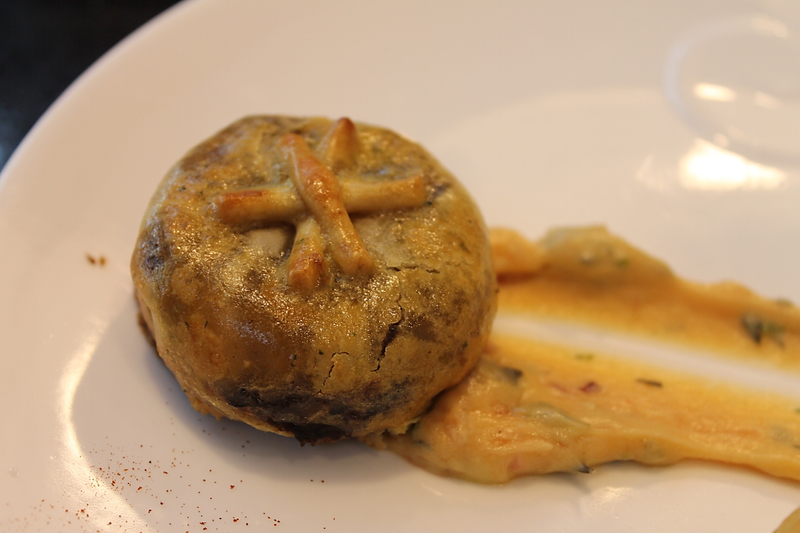 This one however has thinner crust and has more filling, which are creamed beef after the flavor of famous French beef stew cooked in Burgundy, a red wine. The Choron sauce, more like a conglomeration of "cheese whiz and mayo-based sandwich spread," is actually a variation of classic Bearnaise sauce with tomato paste. Next on the list are Asado Mooncake and Crusty Shrimp Cheese Mooncake. My daughter makes one heck of an Asado Siopao eater, so she likened the Asado Mooncake to it. The serving was a bit heavy for her so she only finished half of it. I for one finished it all. So yeah, it's like eating asado siopao only the dough enveloping the meat isn't the white one but of greasy mooncakes. I don't know why Danica didn't like the Crusty Shrimp Cheese Mooncake. She said it was too flaky for her and she disliked the part where the crusts fall off as she takes a bite. 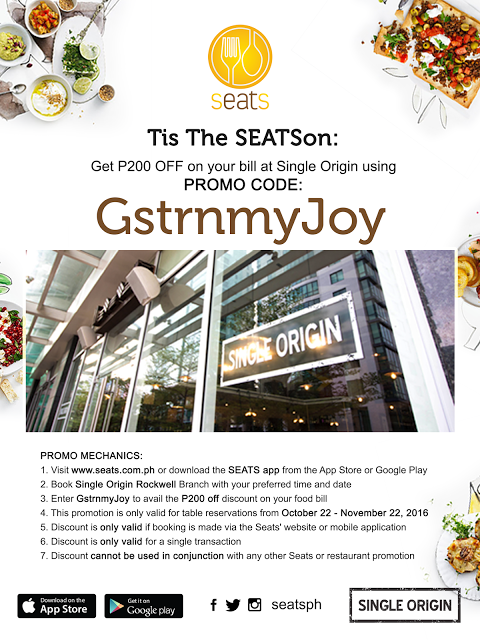 Like the other foodies on that afternoon tea and mooncake party, I also have high commendations for this one. Though for me I found it like more on the French puff pastry side than as a mooncake. A thick and creamy filling of a blend of shrimp, white cheese and herbs oozes out in between of those flaky crust once you take a bite. The variant that comes close to the traditional mooncake is the Salted Lotus Mooncake and made a lot bigger than the rest. This is the one that needed to be cut in quarters and passed around. 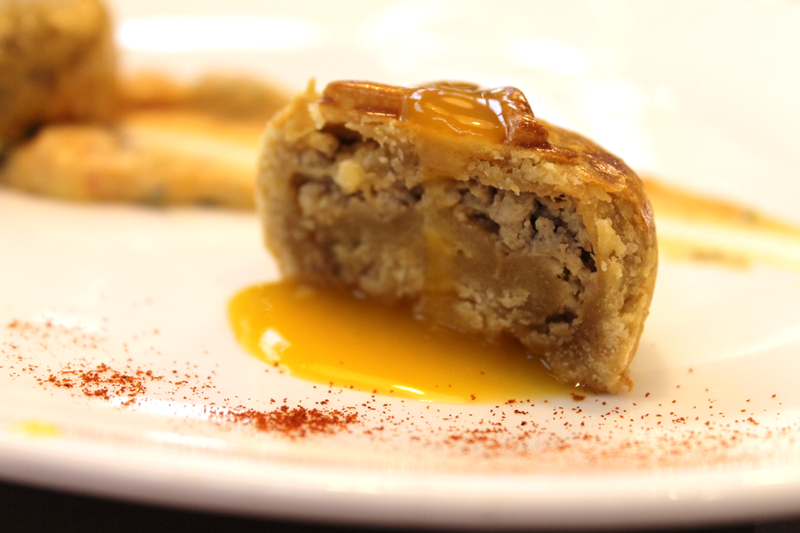 A full shelled salted egg is cloaked with a thick layer of lotus paste and the traditional mooncake crumb. Unlike the mooncakes we know that are made and sold in batches all looking alike, these are made and designed by hands and without customary molds, making it beyond special. So here she is, my kid who is a foodie in the making, giving me her honest to goodness judgement of the mooncakes that was served to us. The last plate served to us was a colorful rendering of what we knew as tradtional special food said to honor the beauty of the moon. The splendid way of arranging their buffet stations were mimicked in the manner of how they have plated the two of the last mooncake varieties that we had. 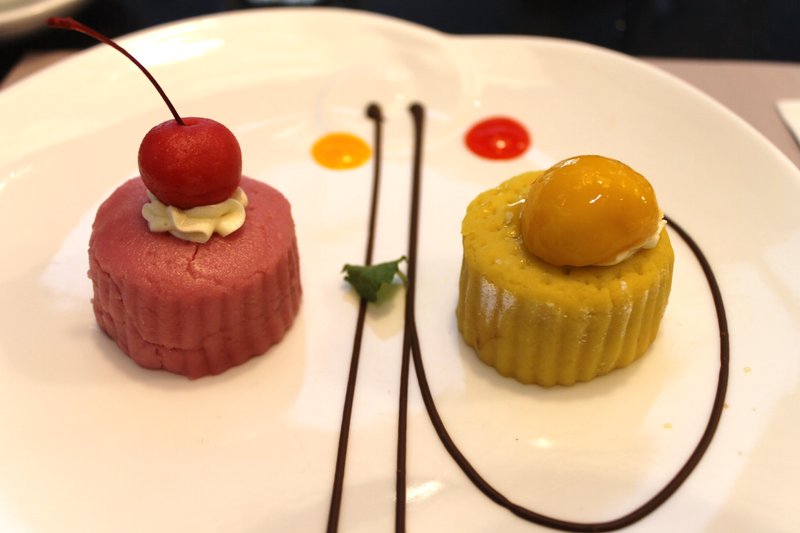 The pink one is the Wild Berry Cheese Mooncake and fhe yellow is the Choco Triffle Mooncake. If you want your mooncake sweet then this will be such a treat. Aside from the regular cookie dough recipe used for the classic cake, the chefs used a marzipan dough. I remembered seeing my daughter lit up when a plate of these were given to her. 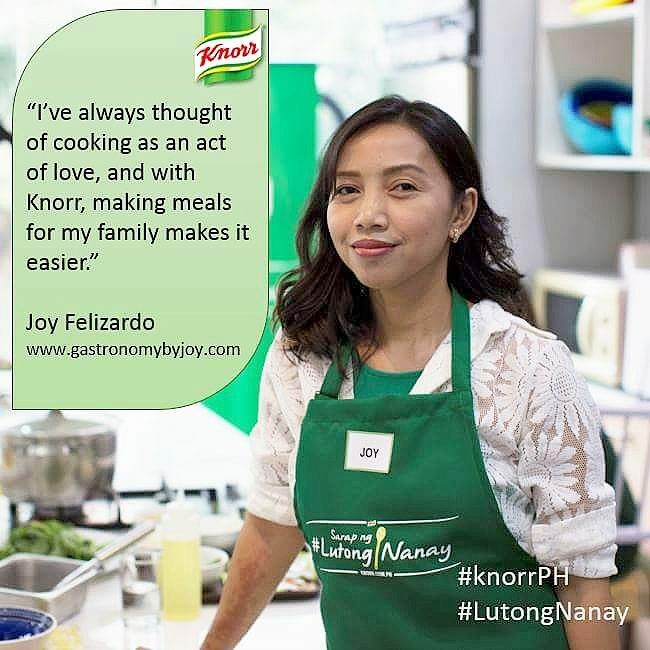 When I saw it being served, it brought back memories from the time I was teaching my eldest daughter how to bake colorful marzipan cookies and she made different fruit shapes from the dough while I was just forming hearts and circles. However, as much as I had my palate grew fonder to the savory choices of the mooncakes, these two did not really catch my liking. They were too sugary for me, and for my Danica too. But we somehow like both fillings. 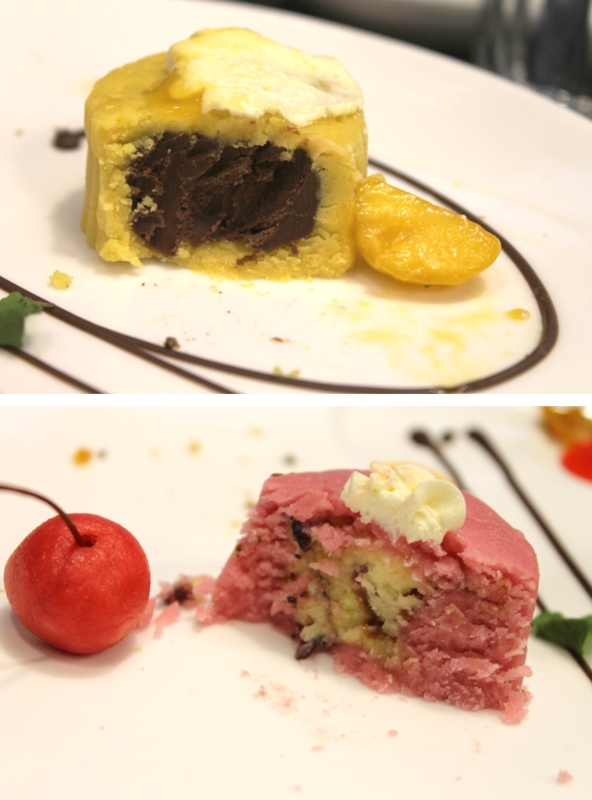 The yellow one had chocolate triffle spiked with rum while the pink one has berry-flavored cheesecake in the middle. 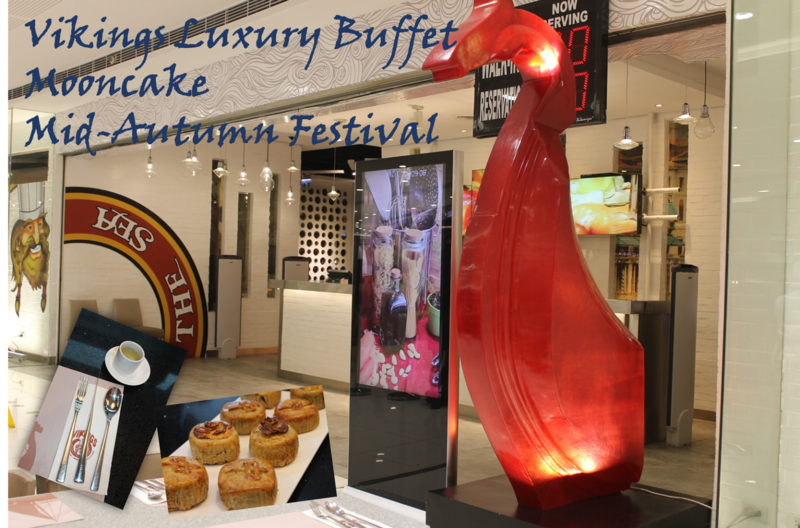 If you love mooncakes and are adventurous enough to get accustomed to nontraditional traditions, then you better set your dates every weekend of September and pave way to any branch of Vikings luxurious and stylish buffet dining once again and have the honor of wearing a viking's hat and #eatlikeaviking!